Are you ready for some Winter 2018 Planner Pre-Release sneak peeks? Well you are at the right place! 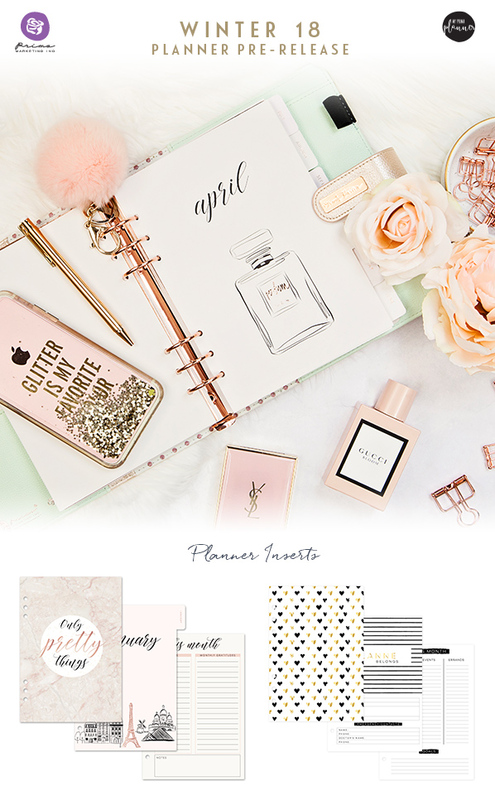 We hope you are as excited as we are about all this new planner fun product! Get ready to shake up your planner with these new Josephine illustration shaker pockets. These shakers come with 8 holes making it possible to use in a personal size planner or A5! Can you believe the year is almost to an end?! We are!! Our new 2018 inserts are perfect for any A5 planner! If you love rose gold you are going to love Frank Garcia new inserts. These inserts have rose gold foiling through the year and beautiful festive dashboards. If you like more of a bold look Prima's new inserts have black and gold details all throughout the year and are perfect for any A5 planner. These inserts are undated making it perfect to use whenever you would like. 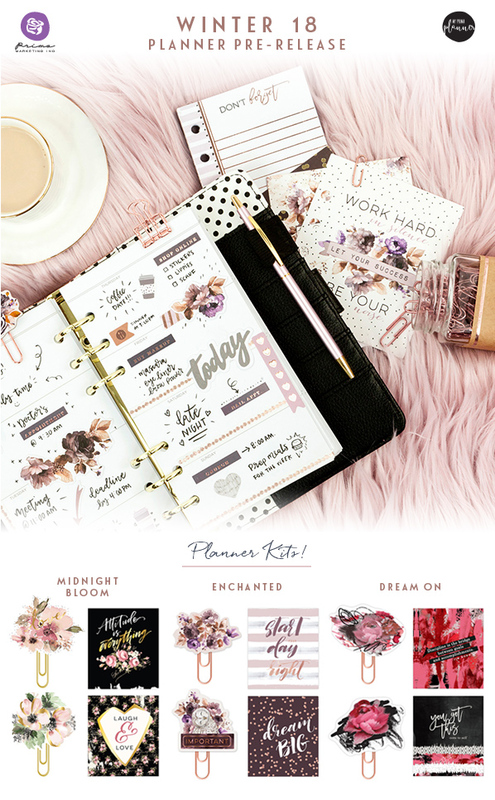 My Prima Planner has 3 new bundle sets coming this Winter and you are going to LOVE them. These bundles have so much in them, making them a perfect starter kit or just perfect for a matching layout. These kits come with stickers, ephemera, note pad sheets, paperclips, and journaling cards!! But wait there is more! You will also be able to buy the matching paper pads to these collection in an A4 paper pad perfect for making dividers and dashboards for your ring or traveler journal planners!